Michael Ventura, entrepreneur and CEO of award-winning strategy and design practice Sub Rosa, shares how empathy — the ability to see the world through someone else’s eyes — could be what your business needs to innovate, connect, and grow. Empathy is about understanding — your consumers, your colleagues, and yourself — and it’s a direct path to powerful leadership. Applied Empathy presents proven strategies for making lasting connections and evolving your business internally (your employees, culture, and product/services) as well as externally (your brand, consumers, and value). 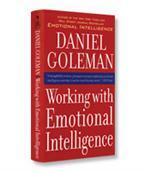 You might find the notion of applying empathy to business practice to be somewhat oxymoronic. Business is supposed to be about cutthroat competition and take-no-prisoners tactics. Empathy is all about being nice and considering someone else’s feelings. 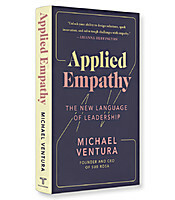 In his new book, Applied Empathy: The New Language of Leadership, Michael Ventura analyzes these misinterpretations (while admitting that empathy is “a squishy word”) and offers a set of tools and ideas to fully leverage the potential of an empathic approach to leadership. As the CEO of award-winning strategy and design firm Sub Rosa, Ventura’s work with iconic brands such as General Electric, Google and Nike took place during a period of accelerated growth for the company. He admits that they were often “building the plane while we flew it,” which led to the search for a more stable construct that would allow them to better understand the problem to be solved, the client’s needs and the audience to be served. The Sage. Be present and stay focused on the here and now. Leveraging the presence and focus of the project team in a physical space without distractions (phones or computers) can lead to a deeper understanding of the problem and potential solutions. The Inquirer. Question all assumptions. Following the “5 Whys” approach popularized by Sakichi Toyoda at the Toyota Motor Company, you continue to ask questions, leaving no assumption unchallenged, until you get to the root of the issue. The Convener. Anticipate the needs of others, and create a sense of community. Create a physical space that inspires a sense of safety, security and comfort and underlines the commitment to purpose. The Alchemist. Test without the fear of failure in the pursuit of knowledge. 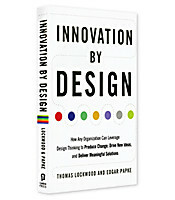 Be curious, persistent and patient in order to uncover innovative solutions. The Confidant. Hear to listen and absorb. Learn to shut off your inner dialogue so that you are truly hearing the other person rather than just preparing your response. The Cultivator. Nurture a vision, even when it is beyond the horizon. Playing the long game in support of a greater purpose will save you from settling for quick fixes. Ventura firmly believes that empathy is not a gift. It is a skill that can be developed over time to a point where it can truly help you step out of your frame of reference and embrace a different perspective than your own. You can think of it as an unexercised muscle or an innate ability that has yet to be nurtured. If you trust those new perspectives and the thoughts and ideas that they will generate, he argues, they will guide you to success. Applied Empathy offers a set of tools and ideas to develop your business both internally (your people, your product or service, and your culture) and externally (your brand, your customers and your value proposition). Taking an empathic approach to leadership will help you to better understand your customers, your colleagues and yourself.